Damage to a home in the Rogers, MN neighborhood were Jaymi Wendt was killed on September 16, 2006. The family of Jaymi Wendt contends that several shortcuts were made in the construction of the home.Â Included in those shortcuts were the protections required to prevent damage from such winds as those seen in the September, 2006 tornado.Â Lag bolts that were intended to secure the garage to the foundation, for instance, were not set deep enough into the concrete, according to the complaint. In an attempt to verify the causation between Monarch Homes’ construction practices and the damage the home sustained, the Wendt family attorney is prepared to submit into evidence that this was the only home in the neighborhood to blow off its foundation and additionally, this home was the only one in the neighborhood constructed by Monarch. 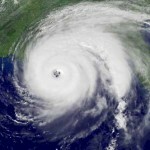 While an initial search of the LexisNexis and WestLaw legal databases reveals little in the way of case law precedent, many legal experts contend suits such as this will continue to gain traction as victims and families search for a means of holding homebuilders accountable.Â Since Hurricane Andrew devastated southern Florida in 1992, an increasing number of jurisdictions have enacted statutory codes requiring hurricane straps in new home construction in hurricane-prone areas.Â Legal scholars who are tracking this case state that the outcome may set a similar trend in tornado-prone areas such as the midwest and southern plains states. 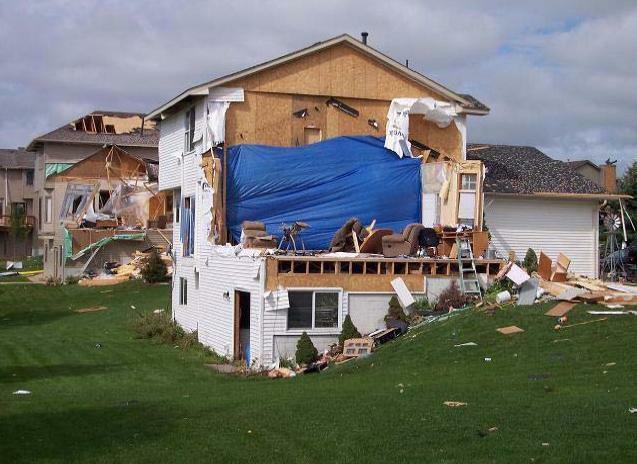 The Chanhassen, MN National Weather Service office released a full investigative report on the Rogers tornado, concluding that the tornado reached its maximum strength as an F-2 tornado (wind speeds between 113 and 157). Global Sea Ice on the Rebound?